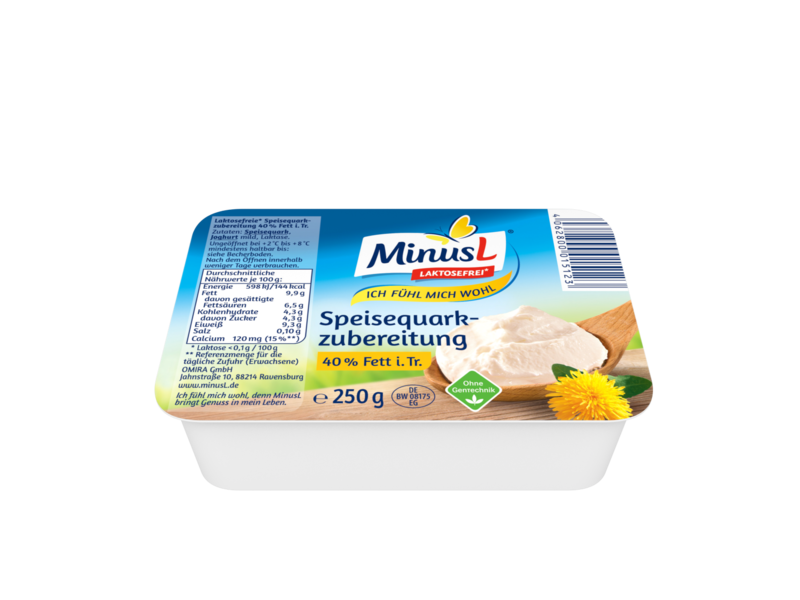 Whether sweet or savoury is called for – lactose-free curd from MinusL is the perfect basis for both! Luscious cheesecake, ingenious desserts and sweet fillings can all be conjured up just as easily as low-calorie, high-protein “fitness” meals or hearty dips. 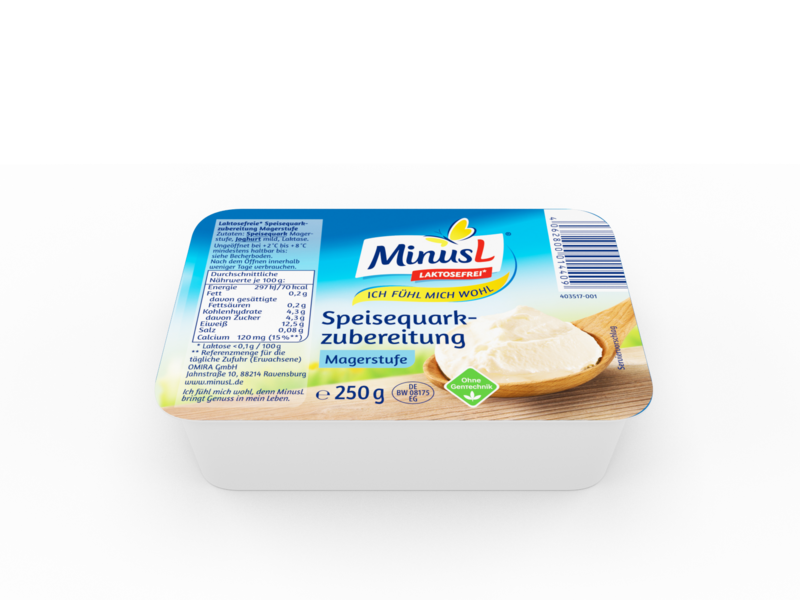 Lots of athletes use our lactose-free “low-fat” curd quark as a natural source of protein for their healthy diets. For example, with a protein content of approx. 12.5 g / 100 g it’s 3.5 times higher than in lactose-free long-life milk with a low 1.5 % fat.